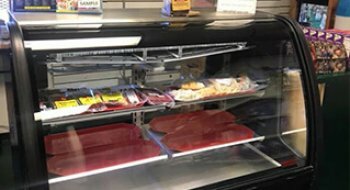 Buckhorn Store is a fully stocked convenience store along with fresh baked pizzas, subs, hoagies, and an expanded deli counter with new featured items each week! We have a full dining room for you to eat in or take your food to go. 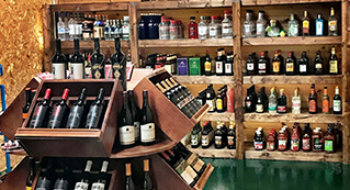 We also have an expanded liquor and wine department along with a full selection of beer including many Wisconsin craft brands like Hillsboro and Fantasy Factory. 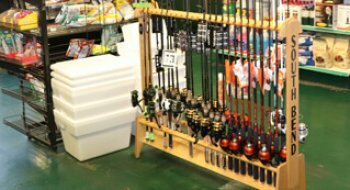 Finally we have the best selection of fishing equipment and bait in the Castle Rock area! Who said convenient can't be delicious? We have a variety of pizzas, subs, bakery items and more! We have a newly expanded liquor and beer department. We have expanded our wine, liquor and craft beer selections while still offering everyone's favorite brands. We have a large selection of fishing tackle and bait to fit your every need. Be the first to receive updates, discounts & more with our newsletter.